LH2200 & LH2200M series can unload up to 2,200 lbs. LH3000 Series can unload up to 3,000 lbs. 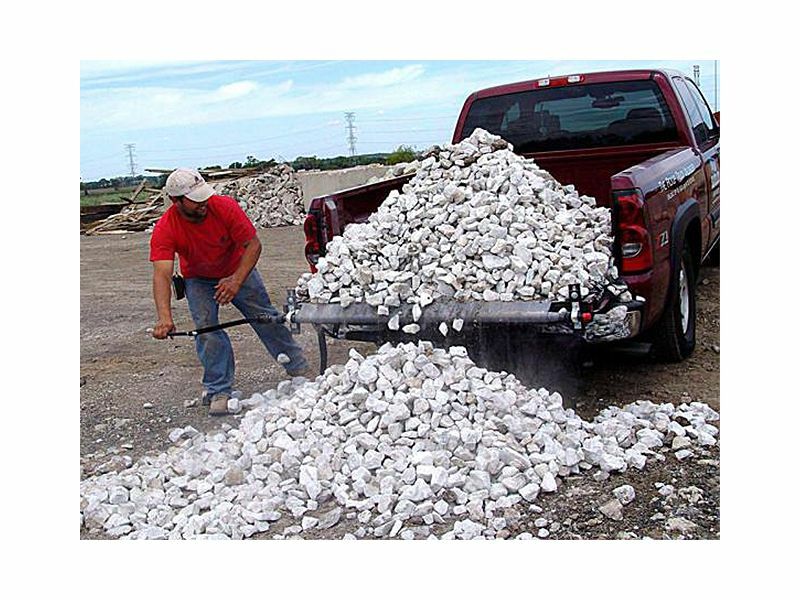 Spare yourself the backbreaking work of unloading sand, clay, trash, equipment, hay bales, feed bags, dirt, furniture, and rock by using the Load Handler truck bed unloader! Finish jobs faster with this pickup bed unloader. Load handler can be installed or removed in about a minute. It unloads your cargo in as little as 30 seconds. Padded brackets and tie down straps secure the Load Handler to any tailgate. The Load Handler truck bed unloader consists of a heavy gauge poly fabric rolled onto a steel bar that runs the length of the tailgate. This is available in three models: Load Handler LH2200 series, LH2200M series, and Load Handler LH3000 series. To load, just unroll the drag sheet to cover your truck bed. To unload, lower the tailgate, insert the crank handle into the end of the roller bar, and rewind the drag sheet. Enhance your pickup with a truck load handler. Perfect for home or personal use. Unload up to 2200 pounds in 30 seconds. The LH2200 is ideal for half ton, mid-size, compact, and step-side pickups. Perfect for commercial applications or heavy-duty use. Unload up to 3000 pounds in 30 seconds. The LH3000 is ideal for any Full-Size pickup (excluding step-sides), especially 3/4-ton and 1-ton pickups. NOTE: Load handler units have adjustable brackets that belt onto the tops of tailgates, so it is the width of the tailgate (left to right, or driver side to passenger side) that is important in determining which Load handler models will fit your truck. Bed length and type of cab are not important in determining which Load handler model to purchase. Full-Size (fleet side) tailgate widths range from 61" - 67" and can accommodate either the LH2200 or LH3000. Step-Side (non-fleet side) tailgate widths range 44" - 52" and can accommodate only the LH2200M. Includes both full-size and mid-size step-sides (and the F150 Super Crew which has a tapered tailgate of 52"). The installation is very easy. The first "fitting" will take three to five minutes. After that it takes about 30 seconds to install or detach. For additional information please call 877-216-5446 or 701-253-5906.